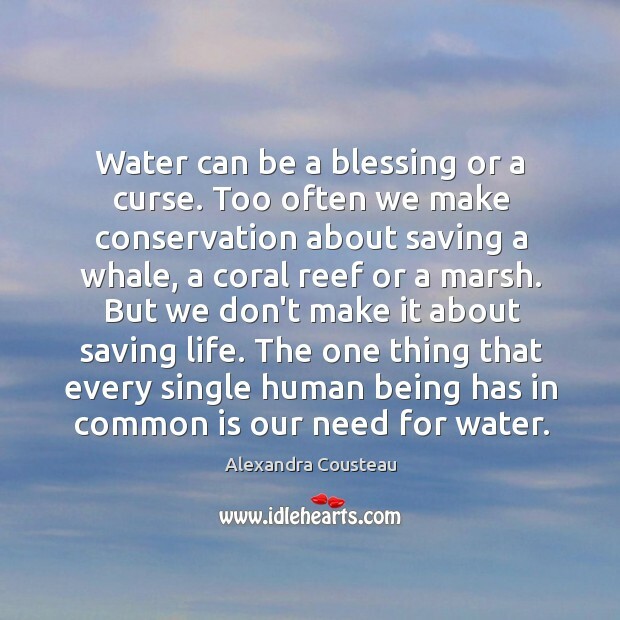 Enjoy the best inspirational, motivational, positive, funny and famous quotes by Alexandra Cousteau. Use words and picture quotations to push forward and inspire you keep going in life! 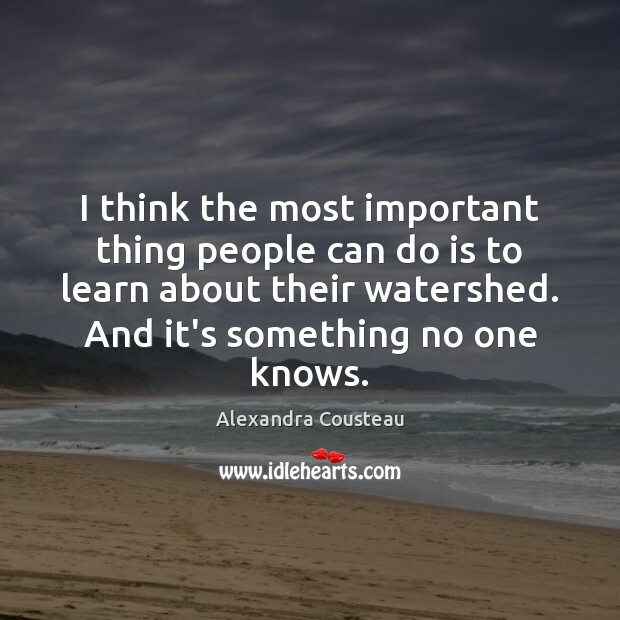 I think the most important thing people can do is to learn about their watershed. And it's something no one knows. 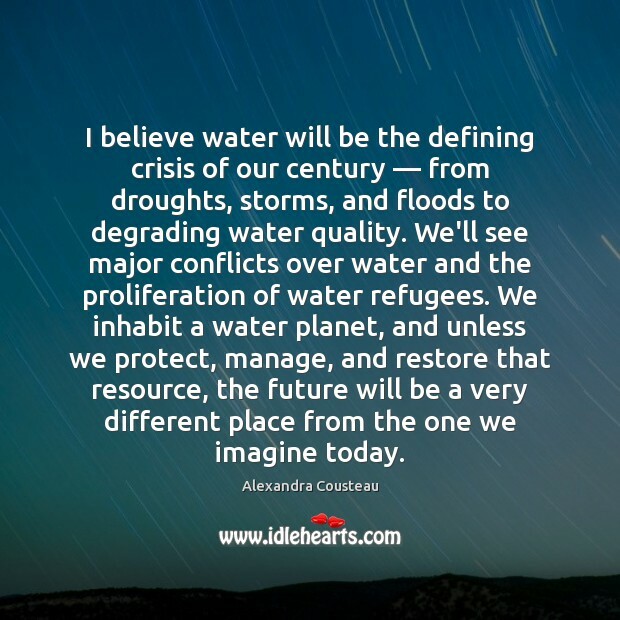 I believe water will be the defining crisis of our century — from droughts, storms, and floods to degrading water quality. We'll see major conflicts over water and the proliferation of water refugees. We inhabit a water planet, and unless we protect, manage, and restore that resource, the future will be a very different place from the one we imagine today. 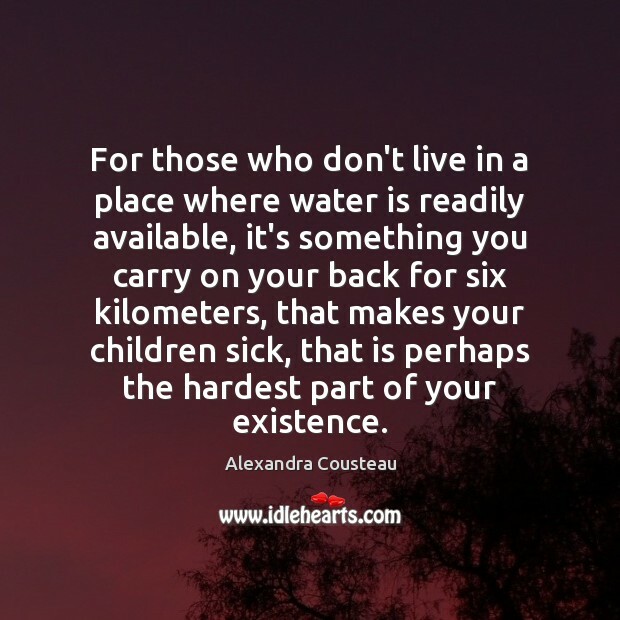 For those who don't live in a place where water is readily available, it's something you carry on your back for six kilometers, that makes your children sick, that is perhaps the hardest part of your existence. 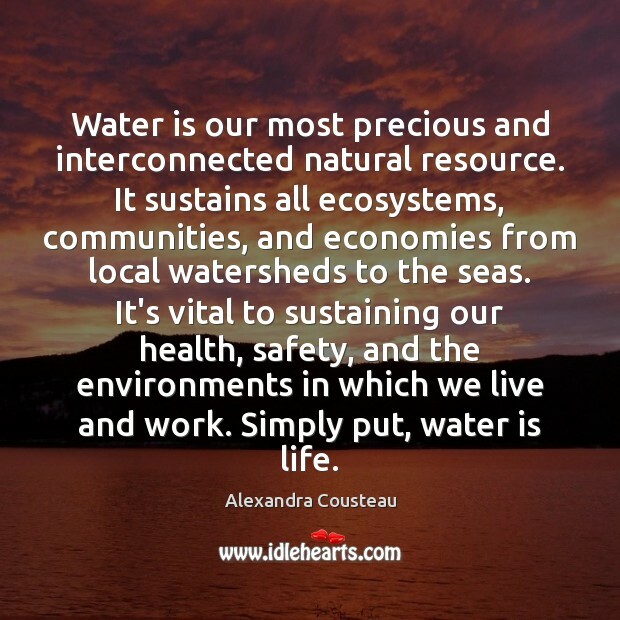 Water is our most precious and interconnected natural resource. It sustains all ecosystems, communities, and economies from local watersheds to the seas. It's vital to sustaining our health, safety, and the environments in which we live and work. Simply put, water is life. Water can be a blessing or a curse. Too often we make conservation about saving a whale, a coral reef or a marsh. But we don't make it about saving life. The one thing that every single human being has in common is our need for water. 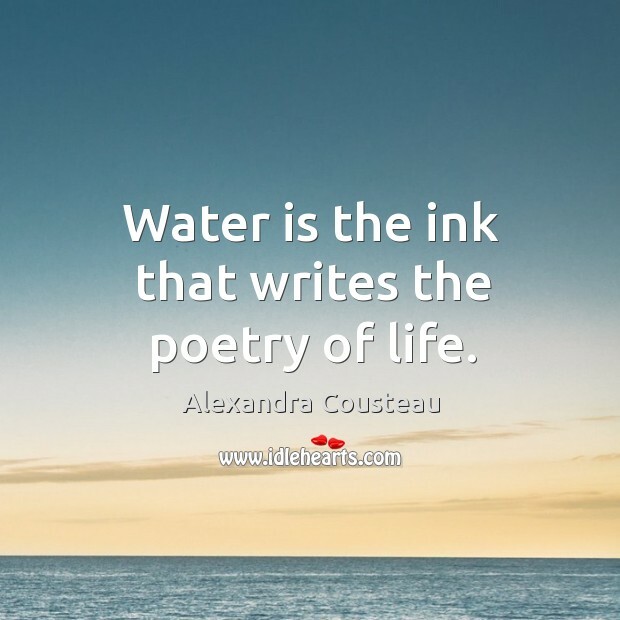 Water is the ink that writes the poetry of life.